Home Andalucia Go back to your tractors! Add to those a snail-paced justice system and, as exemplified by a recent Olive Press investigation, a law society in Malaga that fails to scrutinize bent lawyers, and things start to look distinctly cloudy. Consider too that last week Spain’s top anti-corruption lawyer, Baltasar Garzon, was suspended from his post for illegally tapping the phones of lawyers, and most will come to the same conclusion. “Yes, corruption is certainly endemic in Spain,” says Gwilym Rhys-Jones, an Estepona-based financial expert. There is certainly nowhere better to highlight the problem than here on the Costa del Sol, where in Marbella for over two decades you could only get anything done if you were prepared to pay for it. 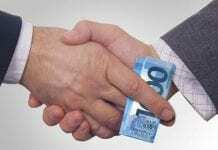 Under the current Malaya corruption trial, centred around Marbella Town Hall, which has been going for over a year, over a hundred councillors, mayors, businessmen and civil servants are on trial for taking backhanders totalling up to 2.4 billion euros. And sadly, the same sort of things were taking place at hundreds of town halls around the country, with a central government apparently prepared to turn a blind eye. This led to hotels and golf courses being built in national parks, developments installed in river flood plains and hundreds of thousands of illegal – and unsellable – homes around the country. It comes as no surprise then that Transparency International has listed Spain as more corrupt than Uruguay, Chile and Qatar, and almost on a par with of Botswana – quite a feat for the fourth richest nation in the European Union. And while some might like to point the finger at the right or the left, the range of cases shows that bending the rules for personal gain goes right across the spectrum. The Conservative PP party has often been in the spotlight – most recently thanks to the Gurtel case, in Valencia – but the current Socialist-led ERE pension scandal trial in Andalucia would certainly take some beating. Even the royal family may have dipped its toes in the murky waters, with King Juan Carlos’ son-in-law about to stand trial for a misuse of public funds and embezzlement. Winding back a few decades, during Franco’s regime corruption was a key tool for those in power, with the dictator regarding it as the ‘necessary lubrication for the system’ according to historian Stanley Payne. While central government appears to be largely free of endemic corruption today, in the regions it is quite a different story. In Andalucia, for example, UGT trade union leader Manuel Pastrana believes as many as 75 per cent of the region’s town halls are corrupt. This is partly down to the fact that much of Spain’s corruption is linked to illegal planning, which is said to be more profitable than drug dealing – mainly because tourism is the biggest earner on the Costa del Sol. It’s a simple tale, and sadly all too common. Developers purchase non-urban, rural land for knock-down prices, then pay corrupt town hall mayors to reclassify the land as available to develop. This leaves the developers to build whatever they like – and it is arrangements like this that explain the illegal 411-bedroom Algarrobico hotel in Almeria’s Cabo de Gata natural park – which will thankfully be demolished any day now. The question is, why are so many mayors and councillors tempted to the dark side, considering the possible environmental and criminal consequences? Aside from describing Spain as having the ‘slowest justice system in the known world’, investigator Rhys-Jones argues that it is human nature to be tempted by money once it’s dangled in front of you. “When people see a massive amount of money, they can’t help but steal it. It’s human nature,” he says, using the unscrupulous former Marbella mayor Jesus Gil as his example. But this apparent do-gooder turned resident evil, with many describing Gil – who was convicted in 2002 – as being the bad apple that spoiled Marbella’s bunch. Either way his legacy was a disaster and has led to the following three mayors – as well as his main cohort, planning boss Juan Antonio Roca, who became the svengali of the operation – all facing prison. Much of the corruption comes down to backgrounds and a lack of education, believes Marbella-based lawyer Antonio Flores. “A lot of mayors have previously had rural-based jobs, without the ability to make any money,” he explains. “The moment they have responsibility, the temptation to make money becomes too great. After four years in power, they’ll often have to go back to their tractors,” he says. A classic example of a rags-to-riches mayor is Julian Munoz, also heavily implicated in the Malaya case, who worked as a waiter before running Marbella Town Hall in 2002. Roca, too, had been on the dole before going on to pilfer 30 million euros. “It’s not so difficult to get another job when you’re in a higher political position,” he says. The good news is that most commentators agree that corruption in Spain is on its way out. “The Malaya case was where the mentality changed,” estimates Flores. “It was a turning point for corruption and the Marbella run by thugs completely collapsed when they were all arrested. “As Spain becomes more civilised, we are slowly getting rid of corruption,” he continues. As for shamed Judge Garzon, opinion remains firmly divided on whether he too was a man who let power corrupt him… or whether he has been silenced by a country whose corruption will be harder to iron out than some may hope. 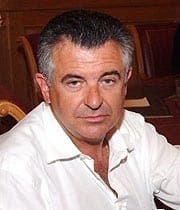 Malaya Planning chief Juan Antonio Roca is at the heart of this 2.4 billion euro scandal in Marbella. The unelected Roca operated a cash-for-permissions scheme, which saw over 18,000 homes built illegally. lucrative contracts with the regional government. created in non-existent companies in order to defraud public funds. Ballena Blanca One of the largest money laundering cases in Europe, with 21 people accused of investing proceeds from drug trafficking and prostitution in property via over a thousand companies. Wow! That’s one hell of a summary. Still trying to digest it. So do you reckon we should sell up in U.K. and buy a gaff in Spain? Or not? This article is very good for a laugh but to anyone who has even skimmed Spanish history, let alone in depth it’s a hoot. Corruption only started with Franco – absurd. The whole of Central and South America is corrupt and is still run by the descendants who brought it with them – the Spanish conquistadores. It’s all the peasants fault – more absurdity. The professional class saw that there was lots of money to be made from tourism, building hotels and planning laws could be ignored – and that was already happening in the late 60’s. Are estate agents lawyers/judges/town planners all peasants – thought not. The only way to eliminate corruption in Spain is to eliminate the professional class almost in it’s entirety and start again. Many mayors are from a peasant upbringing. My mayor was a mango farmer before he was elected. Anyone can be an estate agent lol. Yes Fred but not a lawyer or architect or judge. In Spain…you cannot trust lawyers or Officials…. my own story is still waiting to be settled..but the problem is they all close ranks…. ! Be wary those wishing to invest…make sure it’s watertight.. Spain / Andalucia..yes…but with extreme care…! Is the mayor of Alhaurin el Grande (the one who has been fined 200k and banned from office for two years) still in power? Is the PP bothered about this sort of thing? Here in Chiclana the town is certainly run by brainless morons. I tend to disagree with Stuart – in my own experience the ‘estate agent’ I used to buy my house was apparently cycling to work 4 years previously. Ten years later he has two flats, a restaurant, an estate agency, a detached house for his family, and literally millions of sq.m. of land near Granada, with finca of course. That is the property we know about. But I don’t deny that the corruption is top-to-bottom. If an ex farm-worker cycling to work can amass this amount of property/cash, what goes for the money’d classes? Spain is like a beautiful woman, ravaged, despoiled and cast into the gutter. How can she get out? I hope she can, because Spain IS just like a beautiful woman. mmmmmm still waiting..nearly three years now for the Colegio de Abogados in Malaga to investigate a firm of Marbella lawyers who stole 11,000 Euros from us….. three years.. m the emails from malaga simply say…we are still investigating… ! The truth is…they look after their own and do F*** all…!